SafeChat is a mobile application which ensures a two-way communication between the drivers and the dispatcher or the fleet manager. This application puts drivers in touch real-time with managers, dispatchers, and colleagues while performing their tasks. Send GPS coordinates - mobile access to locate a service or address. 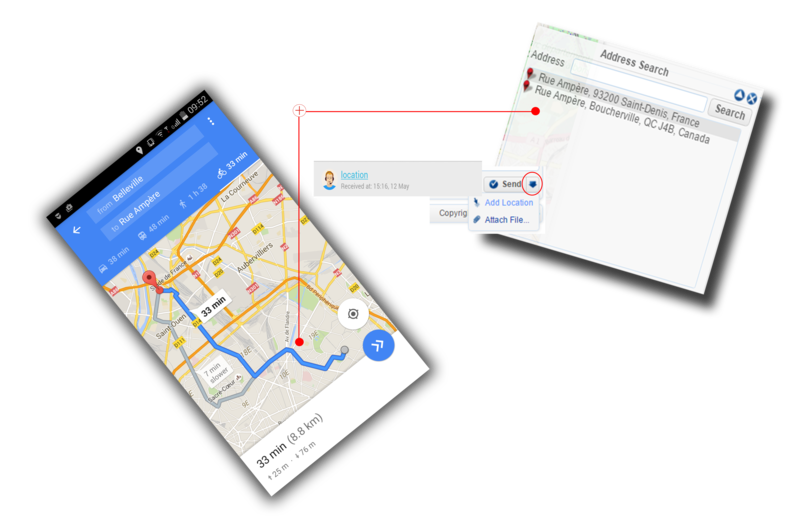 This also includes mapping and direction because SafeChat is able to open the coordinates with any navigation app available on smartphone, like GoogleMaps. Assign tasks through the menu Navigation Jobs, this way, the dispatcher can easily track the status of the vehicles/drivers and can assign a task to the vehicles which are available. Send mass messages - the application allows using a chat room where the dispatcher and the drivers can send one message to more SafeChat users.